The age old saying, “Breakfast is the most important meal of the day.” is especially true for runners. After a morning run, it’s important to eat at least 30 minutes after you’ve finished. Eating around this time helps replace depleted nutrients that will support your recovery so you don’t experience any muscle loss. In addition to being so important, breakfast is simple too! Healthy Eating This breakfast plan shows why these options pack mega benefits. 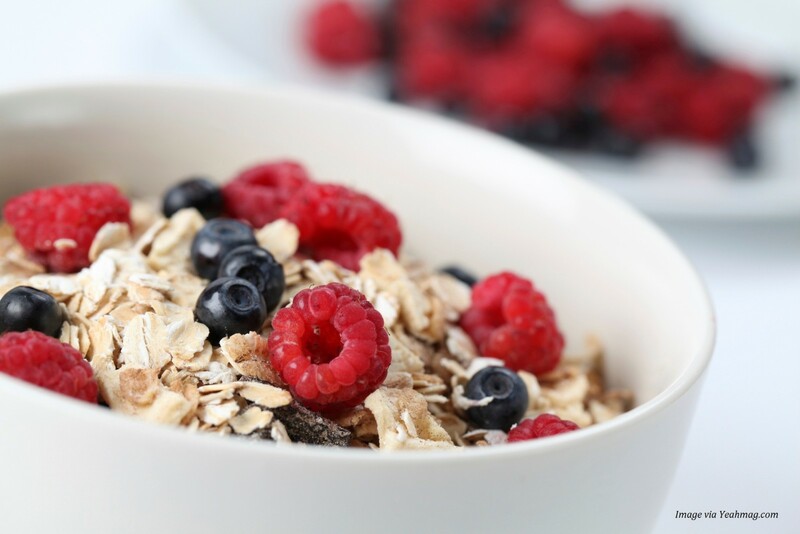 Oatmeal: Oatmeal is a great post-run food because it contains carbohydrates, protein and fiber. Fiber makes you feel full so you don’t risk over-indulging. In addition, Fiber has been shown to reduce bad cholesterol. Greek Yogurt: Greek Yogurt is packed with protein! Watch out for sneaky sugar that can be found in Greek Yogurt. Sometimes servings can even pack on more than 20 grams! To avoid this, it is best to go with Plain Greek Yogurt and to sweeten it yourself with honey or agave nectar. Fruit:. There are many added benefits of eating fruit. The antioxidants in dark-colored fruits like blueberries may, in fact, prevent or delay Alzheimer’s disease and cancer. Many fruits contain fiber which will also help them make you feel full. Bananas are also essential for a post-run snack. Almonds: This nut in particular provides antioxidants and, if eaten regularly, can lower cholesterol. Almonds can be added to your oatmeal, cereal, fruit bowl, greek yogurt cup or can just be eaten alone. Eggs: The secret holy grail of protein! With six grams of protein per egg, the yolk in particular packs an excellent source of vitamins and minerals including: iodine, zinc, iron and folic acid.